The first trial is set by Ilima. 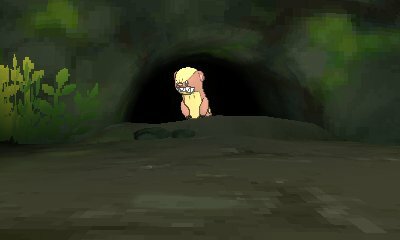 When you enter Verdant Cavern, you are sent to find the three Pokémon that are in the cave. 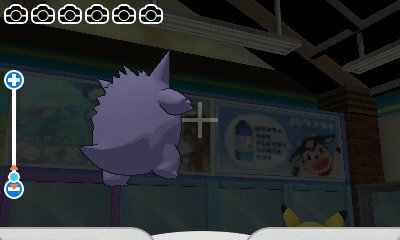 These Pokémon are Yungoos (Sun) or Rattata (Moon). When found, they will attack you, at Level 11, and cannot be captured. 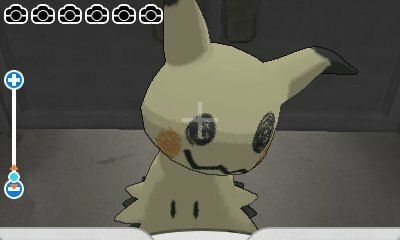 Half way through the trial, Team Skull appear to mess things up. 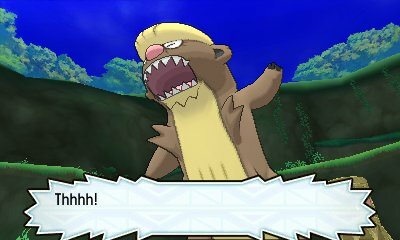 The third Pokémon is a Gumshoos or Raticate depending on your version, also Level 11. When defeated, you're allowed out of the Trial Site towards the Totem's Den where the Normalium Z can be found. 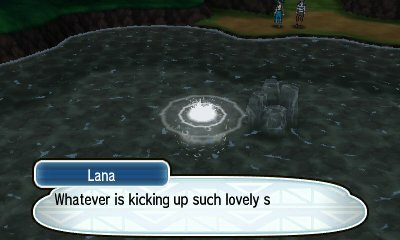 The first trial is set by Lana. 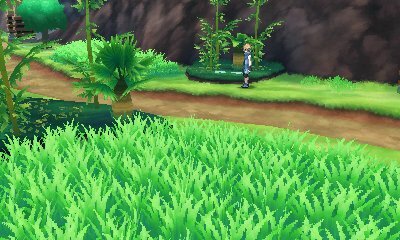 When you arrive in Brooklet Hill, she will note about some strange happenings in the area and asks you to help investigate. 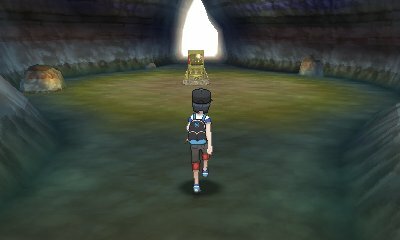 As you travel down through the hill, you will have to battle multiple Wishiwashi before you reach the bottom where the true Trial begins, the battle of the Totem Pokémon. 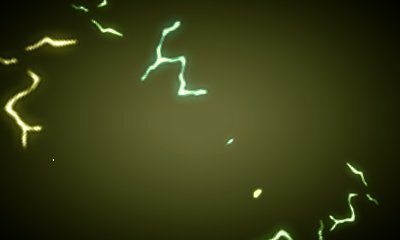 The next trial is set by Kiawe. 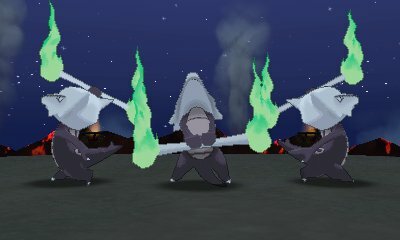 This trial has you look at two dances by Alolan Marowak and you have to tell the difference between the two. If you fail, Marowak will battle you and you have to try again. If you succeed, Marowak will battle you and you progress. 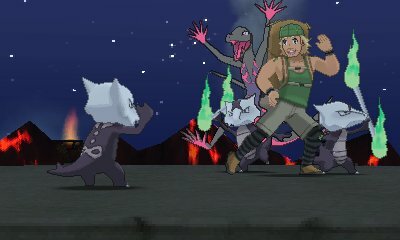 It then adds a Hiker to the mix before the final challenge of the Totem Pokémon. Get the final dance correct, which isn't hard, and the Totem Pokémon, Salazzle, will challenge you. Its Special Defense gets boosted when the battle commences. 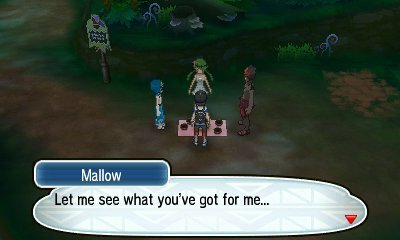 The next trial is set by Mallow in the Lush Jungle. She will give you a Forage Bag and request you find a Mago Berry, a Tiny Mushroom, a Revival Herb and a Miracle Seed, all of which can be found in the Lush Jungle. As you go through, you'll be attacked by a Parasect Lv. 22, Fomantis Lv. 22 and Formantis Lv. 23 right after you get the Tiny Mushroom, Mago Berry and Revival Herb respectively. Collect all the ingredients and Kiawe & Lana will appear and a meal is cooked. As the meal is cooked, it will attract the attention of the Totem Pokémon, Lurantis, which will sneak up on you and attack. 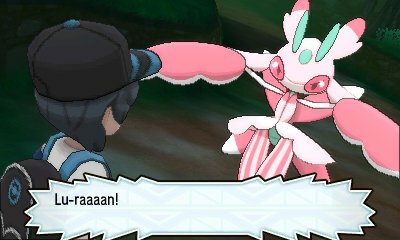 It has its Speed boosted as the battle starts and its partner, Castform, uses Sunny weather to give Lurantis an advantage. When you reach Hokulani Observatory, you'll be challenged by the former Trial Captain, Molyane, to show that you are ready for the fifth trial. 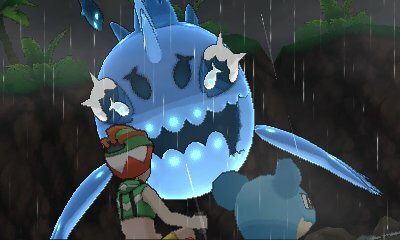 When you defeat him and go inside, you will meet Sophocles who has created a system to bring the totem Pokémon to you but doing so causes a power cut which can be fixed by answering three audio questions. 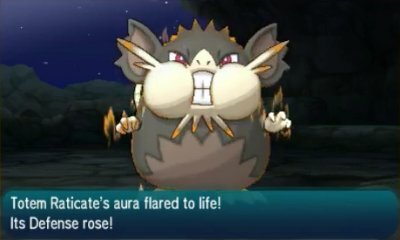 When you answer them correctly, a Level 27 Grubbin and two Level 27 Charjabugs appear to battle..
As you travel through Ula'ula Island, you will meet Acerola who, eventually, confirms that she is the next Trial Captain. She will explain that the next trial takes place in the Abandoned Thrifty Megamart in Route 14 and involves you explorinjg the abandoned store and looking for ghostly happenings. As you do so, you battle a Gastly, Haunter and Gengar, all Level 30. The last trial happens after you meet the final Trial Captain, Mina, but has nothing to do with her as she hasn't created a trial yet. Instead, in Vast Poni Canyon, you will find the original trial site where trials began long ago. 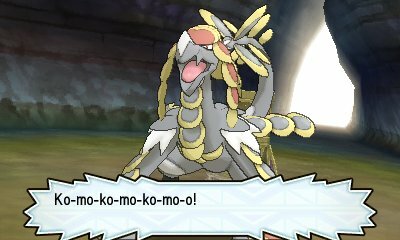 This trial is simply to get through the path to get the Dragonium Z, but as you do you get attacked by a Jangmo-o (Level 40), then by a Hakamo-o (Level 40).